The Boehringer family founded the first wholesale establishment in Stuttgart back in 1879. 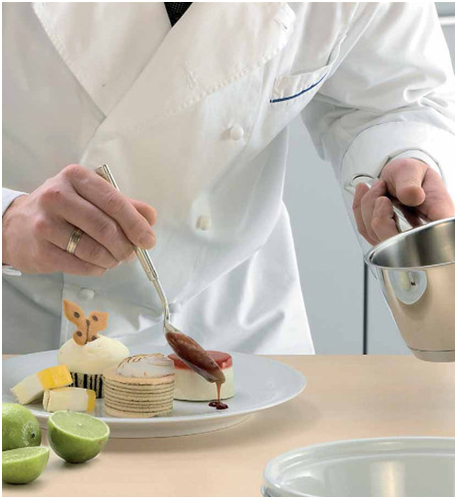 Since then, Boehringer Gastro Profi GmbH's business has been offering products for all aspects of the professional kitchen and stylish hospitality. Customers from the catering, hotel and institutional catering sector benefit from our extensive experience as a full-line equipment supplier. Today you will find us at three locations, namely Weingarten, Birkenfeld and Bonn. We have 18 field staff to look after you throughout Germany, guaranteeing quality and service. Boehringer Gastro Profi is a specialist supplier of integrated system solutions for table culture, hospitality and kitchen equipment in any establishment. Our Planning Department liaises with our field staff to work out individual solutions with maximum benefit for our customers. Competent advice and a constant market presence are a further guarantee of individuality and exclusive solutions.